Show your mum how much she means to you with this sentimental and thoughtful wall plaque. Not only a great gift for Mother's Day but any time of the year to show your love and appreciation. 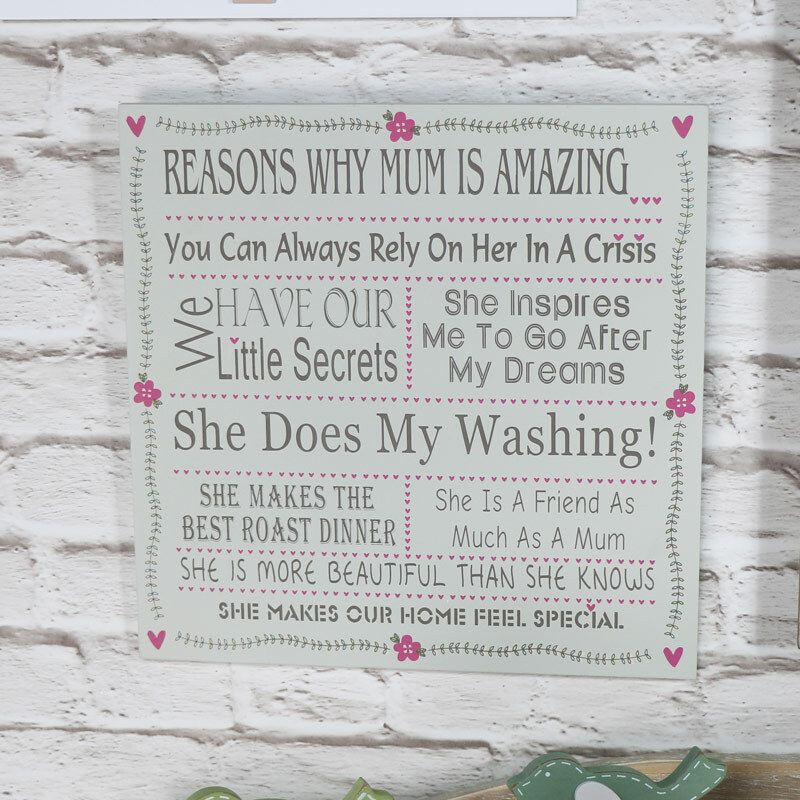 Like your mum, this plaque can be treasured forever, carefully and lovingly details all the 'Reasons Why Mum is Amazing'. Such a wonderful gift idea for a special mum who is always there to help and support you. Decorated with flowers and hearts in a wonderfully shabby chic style. 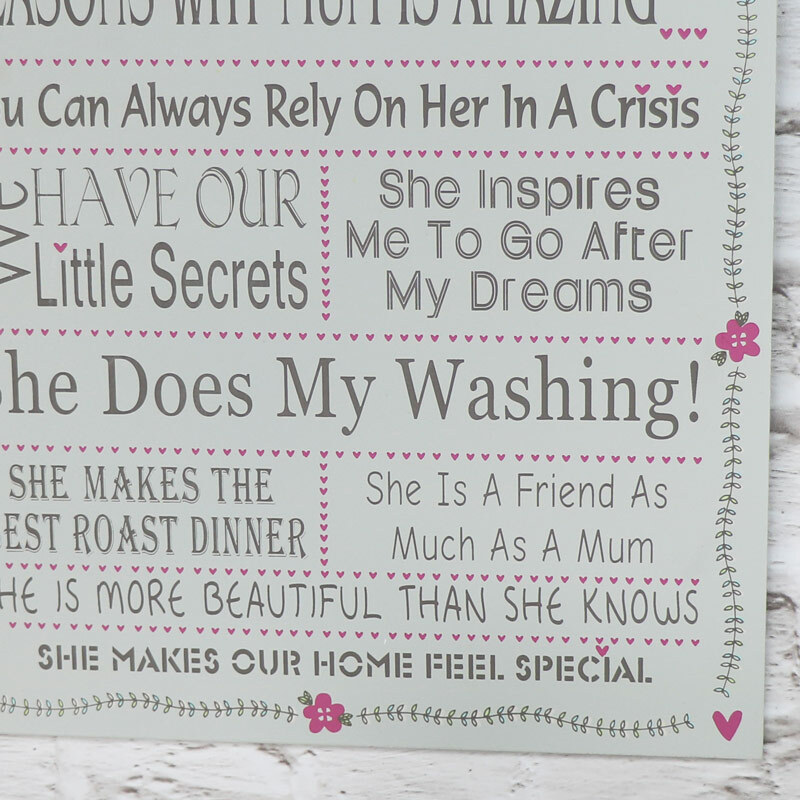 Show your mum how much she means to you with this sentimental and thoughtful wall plaque. Not only a great gift for Mother's Day but any time of the year to show your love and appreciation. 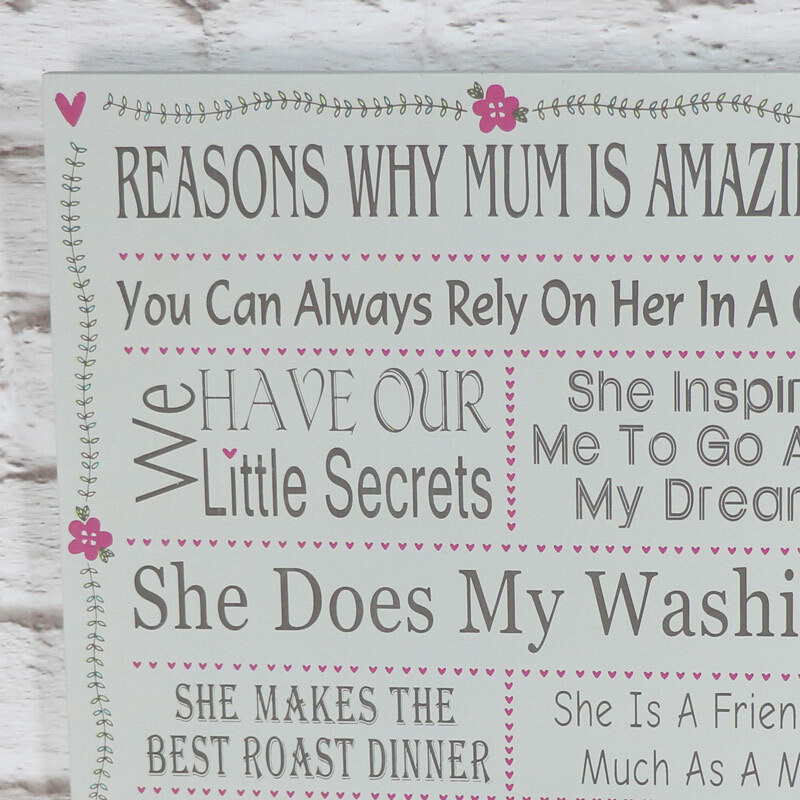 Like your mum, this plaque can be treasured forever, carefully and lovingly details all the 'Reasons Why Mum is Amazing'. Such a wonderful gift idea for a special mum who is always there to help and support you. Decorated with flowers and hearts in a wonderfully shabby chic style. Made from wood with a grey background and pink hearts and flowers. Easily wall mounted with a hook on the back. With a fantastic selection of plaques to choose from the sweet and sentimental to the rustic and humorous, we have a plaque to suit.